I don't have activity #1 because I just found out about the challenge in my news feed and thought it looked really fun! 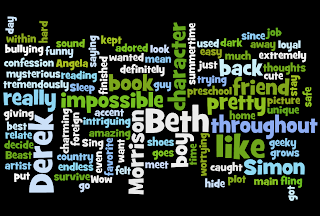 So for activity #2 we had to pick out one of our reviews or the synopsis and put it into wordle to make a picture. The review I scrambled was Sing Me To Sleep by Angela Morrison. Yes, I know this is my only posted review, but I still have my to do list that I posted earlier this week that I need to keep which means two more reviews will be coming very soon! To make your own Wordle Creation for Activity #2 click here. Looks nice. Looks a bit like mine, but I used other colors. Why not do activity #1 anyway, just so you know what you're going to aim for this summer? 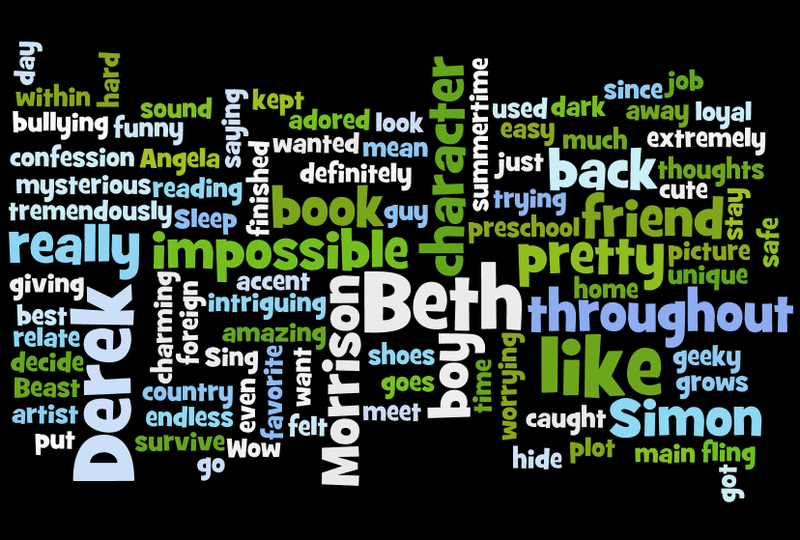 I absolutely love your Wordle. The colors, the font, the word placement - EVERYTHING. Thanks for sharing. Leeswammes: Thanks! And you're right I should do Activity #1 so I can have a reading goal for the summer, thank you. Karin: Thank you so much, you're so sweet! This turned out very nicely, I love the colors. Hope you enjoy this challenge!